I'll admit that this is one of my least liked eps. I find it contrived, predictable and boring. I gave it a C. I don't rate any eps as a "D" or lower. I did give it a D. I really don't like this one and rarely re-watch it. It could easily be removed from the lineup. It's not great, but entertaining. That Cynthia chick is kinda dumb, and that one senator dude that she talks to is even more dumb. Plus they show that Eduardo Delvientos and I hate him! Other than that, it's not a bad ep. Why do you hate Eduardo? I hated it on first viewing. I like it more and more every time I watch it .. doesn't do a bad job at all at showing the story from a different perspective. I like this episode. Its a bit different, provides a fresh perspective to what's happening on the show, and is a great episode to show to newcomers to B5 so they can catch up on what's going on. And it is loads better than The Illusion of Truth. Sheridan was so gullible in that episode, he was out of character, and some of the dialogue was so contrived so that they could edit it to make it sound as though Sheridan and Delenn were trying to conquer the galaxy. At least in And Now For a Word, everyone is pretty much in character and the dialogue is pretty spot on. Oh, and the Psi Corps advert is class. I gave it a B. I enjoy the "News" episodes, and the way they spin everything. It really drives homewhat today's news is like, and the later ones show you what news will be like when it's state controlled. Yeah, I'm gonna have to give this one an A, and I certainly will for Illusion of Truth. 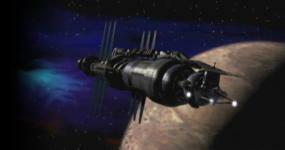 I also love the episode about the union workers and A View From the Gallery- all of these shows remind us that Babylon 5 isn't all messiahs and devils and mystical ultra-powerful Men of Destiny.